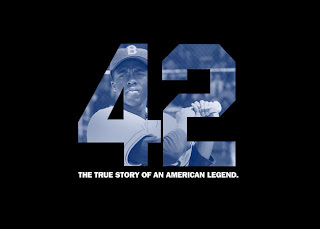 Last Thursday I went and saw a special screen on "42" the new Jackie Robinson movie. First of all, the movie was great. The script, acting, etc., was all good. The character development was great and very redemptive on the whole. You get to see the journey a number of characters take toward being stronger proponents of equality and unity among the races in Baseball. I am always up for a good baseball movie. The movie really centers around two characters, however. Jackie Robinson, the first African American to play Major League Baseball, and Branch Rickey, the owner of the Brooklyn dodgers who really made this a reality. Neither of these individuals could have made such a monumental shift in culture a reality on their own. Rather, it took them being united around a common purpose. Rickey needed Jackie, an African American ballplayer with amazing talent and a strong will, but enough self-control and thick skin to withstand the abuses he would take in order to evoke a response. Jackie also needed Rickey. He needed him for the opportunity, and he also needed him during his times of weakness for support and for the larger vision he had for the small battles they fought together on a daily basis. They leaned on each other and (surprisingly for a Hollywood movie to include) their faith in God and the intrinsic value of every human being to make a legendary change in our world. 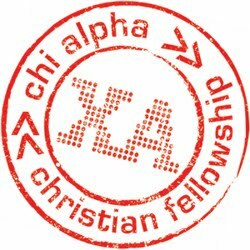 I am so grateful for the partners that we have in our ministry. I'm grateful for those who pray for us on a regular basis. For those who give monthly so that we can spend our full efforts discipling students and reaching out to knew one's on the Stanford campus. For the staff I get to work with who have a similar heart to see Students, Stanford, and our world changed. I am so grateful for the students at Stanford who unite under our vision to make reaching their friends and their campus a reality through the lives that they live for Christ each and every day. There has been more talk among the students I meet with about unity to reach the campus for Christ. I am excited for the unifying work God is doing because it is through our love for one another that the world understands God. It will also take unity, common purpose and leaning on one another to see legendary change in the life of our campus. Your prayers only add to that unity and the power of the ministry going on at Stanford. Thank you.